Your friend has announced her engagement, and now you have received the wedding invitation in the mail. You're happy for her because this is one of the most exciting times of her life. And now you know it's time to look for the perfect thing to give the couple, a task that can be quite daunting. If you're like most people when you receive an invitation to a wedding, you'll automatically want to know what gift to send. This is such a special day for the couple, you may feel the pressure to send the perfect present. You can find out where the couple is registered, and then you can give them exactly what they want. That's great! However, there are other things to consider when sending a wedding gift. Most of the time it is beneficial to shop early and send your gift ahead of the actual wedding date. However, when to send the gift tends to be a custom that varies by region. It's not a good idea to bring gifts to the ceremony because the bride and groom have enough on their plate. You won't want to put them in the position of having to transport gifts on their special night. In some regions, it is considered acceptable for the couple to set up a gift table at the reception where the guests can place their gifts. When couples do this, they typically put someone else in charge of keeping an eye on the table and transporting the presents. It's always a good idea to send a wedding gift if you get an invitation, even if you're unable to attend the ceremony. The exception is if you have not been in contact with the couple for an extended period of time or you don't live in close proximity. In these cases, you are under no obligation to send a gift, although a card or note of congratulations would be thoughtful. Some people may balk at sending a wedding gift if the bride or groom has been married before. This is a decision you'll need to make, but it's always good form to give something to show your support for the marriage. 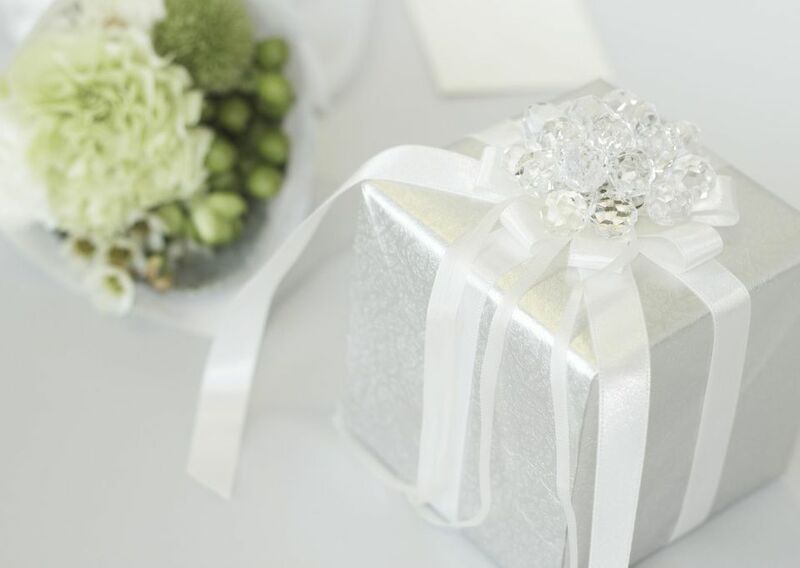 If you are sending a gift prior to the wedding, you should send it to the bride's home, the home of the bride's parents, or to the return address on the invitation. Social etiquette rules state that you have up to one year after the wedding to send a gift. However, this really should be done as soon as possible after you receive your invitation. Otherwise, time may get away from you, and you'll forget to send something. Gifting money or gift certificates is perfectly fine and acceptable. Many couples even set up "Wishing Well" tables or an alternative in order to receive monetary gifts. If you have decided to give the couple money in lieu of a gift, there is no reason to give more than what you can afford. Some people have set unrealistic guidelines which state that you should give a certain amount to the bride and groom per person in order to offset their costs. This is not true. As a wedding guest, you have no obligation whatsoever to pay for any portion of the wedding celebration. Gift-giving should be an enjoyable experience. The gift should come from your heart, even if you choose something from the couple's gift registry. Before you shop, know how much you can afford to spend, and stay in your budget. Don't fret that someone might think you didn't give enough. Chances are, the couple will be happy with anything you send them. Proper etiquette dictates that the couple will send you a thank you note shortly after they return from their honeymoon. However, not everyone is a stickler for good manners. If you don't receive a thank you note, don't worry about it, unless you're concerned that they didn't receive the gift. In that case, it's fine to contact the bride or groom and ask if they got it.